Thank you for the excellent advise. flash hider mount, grip pod and MagPul front slingattachment. ble. All require a demoletter. Shipping is $50 per gun basic shipping. Colt M-16A2 9mm SMG. 10.5" Barrel, 25.6" Overall, Factory Colt SMG. They are still at it. Tried to play with "Cheryl Abernathy" of Terre Haute for a bit yesterday. You should try to tie up any similar sounding email addresses. Maybe if you explain the scam to Gmail they will shut this clown down? Using a Gmail for a business is exceedingly unprofessional. You should use your web host mail, its much harder to spoof a domain than a user name. I have to agree with Easyenough, a gmail account should not be used for business. Register your domain name and add an outlook email account with it. Probably cost less than $100 per year through godaddy or a similar company. I dont do business with companies that use public free email services like aol, hotmail, yahoo, gmail...etc, especially ones that need a lot of background info on me to make a purchase. I'm glad you are trying to inform others of the scam but you aren't doing enough to protect your brand by using a free email service. They're still at it. Received the following message today. My guess is they are trying to probe for someone to respond to see who they can still scam. Notice the extra "r" in the e-mail address? Hello All. Be very careful as the SCAMMERS are out & About. Here is an E-mail I just received that I know is BOGUS! Do NOT REPLY OR SEND MONEY TO THEM ! Their E-mail they list is below. Pre 86 Dealer Sample UZI for sale. 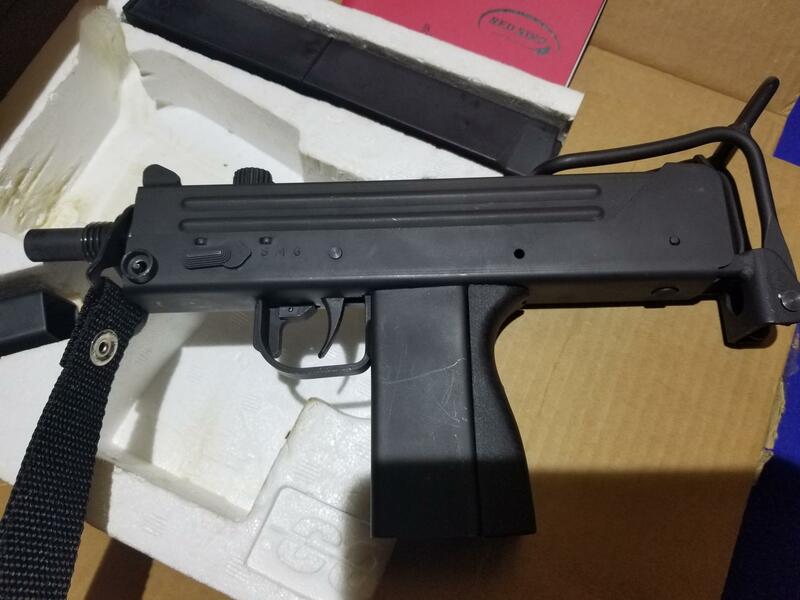 It comes with the factory metal folding stock and the finish looks in good condition. One mag is included, no manual or sling, but the internals are very clean. This weapon transfers tax free to any current FFL / SOT ONLY. This is a Keeper if you quit the business. On a form 3 and in inventory. We use the eForms system for quickest transfers. Walther pre-may MPL, good condition with finish wear from regular use. 2 Magazines included. German police markings were removed. FFL/SOTs. Must be a dealer, no demo letter necessary. $3500 shipped. New in Box Colt LE6933, Factory Short Barrel Rifle, 11.5" Barrel, 1/7, similar to the "Commando" Configured MG.
New in Box Factory 9mm Short Barrel Rifle similar to the RO635/639 "Commando" Sub-machinegun. Comes w/2-32rd mags in Factory Accessory Pack. New in Box Mossberg 500 "Rotating Pistol Grip", 20ga., 8" Barrel, AOW Shotgun manufactured by SE Arms. THE AMBIDEXTROUS ROTATING PISTOL GRIP HAS FIVE DIFFERENT SETTINGS WITH A HOGUE SOFT RUBBER REAR GRIP AND FRONT CAA ASSAULT GRIP WITH FINGER GROOVES FOR USER/SHOOTER COMFORT. Registered as an AOW - Form 3 In-Stock Ready for Transfer. This is a M14S Caliber- M21 7.62x51 (.308) rifle that has been highly tuned for accuracy and looks great with the desert style camouflage on the fiberglass stock. Has the flip-up buttplate replaced with the rubber sniper style pad. Has a lace-on cheek pad. 6x18 period correct scope with side focus. Steel scope mount that’s very sturdy. Holds moa very well. This is the forged receiver M14S pre-ban rifle. This thing is dead on accurate. 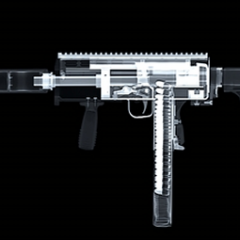 Comes with 3 20 rd mags. Has Fulton Armory M14 fax selector switch kit on it for looks. Semi auto rifle.Has Surefire Flash Hider on it now but you have a choice of factory style flash hider or the surefire on it. Vince Jiga built this rifle for me several years ago as I wanted a 7.62 M1 that could compete. Vince went through a great deal of his parts (he built over 250 correct M1s for his OWN collection) to select the best parts to build this rifle. All of these parts are specifically selected & the receiver is bedded in. 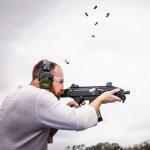 Vince used to run Camp Perry & built the original Crane order of SPR uppers when we first sent SpecOps into Afghanistan. Cancer killed Vince, my close friend, & I then had several heart & kidney operations including cracking my chest. When I finally decided I could do the rifle justice I took it to the range. I could see light through the small rear aperture but not even the front sight. My eyes can now only see through a scope. !! DAMN !! This rifle deserves better than me. It needs a home with a skilled Shooter. I doubt if a master shooter can find a more competitive M1. I am giving up my license so this post-dealer sample could be yours without needing a law letter. Runs great. Shot moderately. You need to be a type 07 to get this gun. Latest one I received. This scammer is actually using someone's FFL whom I called and confirmed it's not him selling and also has a bank account he wants the money sent to at TD Bank. 3 FN FNC 5.56 by S&H Arms. Folding stock,4 pos. select. with 3 rnd. burst. Just caught a scammer in the act on Frank's board at MGC. He had an AC556 posted for $8500. He refused to send any copies of Forms for verification and finally sent a heavily-redacted Form 4. The problem is that the serial number on the Form 4 didn't match the serial number on the "original box" in the pictures of the gun. He sent me a copy of "his" FFL, which I googled, got the phone number, contacted, and asked if they had any machine guns for sale. "no, sir, we are not an NFA dealer." Filled in the owner of this FFL on the situation and he is now in touch with his local ATF and Sheriff's Office. He deleted the ad on MGC yesterday afternoon after he started texting with me about the gun.